If you are not a United States citizen, you may face immigration consequences (including deportation, denial of entry into the U.S., denial of a green card, and denial of citizenship) because of criminal charges. This may be true . . . Even if you take a continuance without a finding (“CWOF”), complete probation, and the charge is dismissed. A CWOF is the same as a guilty under immigration law. For these reasons, it is very important that you get correct advice regarding the immigration consequences of any potential resolution to your criminal case. You have a constitutional right to have your criminal defense attorney explain the immigration consequences to you in a way that you can understand. 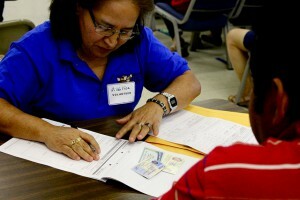 If your defense attorney was appointed by the court, that attorney can contact the Immigration Impact Unit for advice. It is best if your attorney fills out our IIU Intake Form. If you need a free immigration attorney . . . If you need a court-appointed attorney to try to vacate a criminal conviction . . . If you or your family member has already been deported . . . If you are looking for more information . . .